Keep updated with what’s going on with our NNOA Members. Submit your retirement, graduation, promotion or other noteworthy information for general membership to view. Please submit your announcement requests no later than 30 days prior to the event. Announcements from and about financial members of the NNOA are given priority. Please join us on the occasion of Captain Bryan L Durr’s Retirement at 1000 on June 6th, 2019 in the Ceremonial Entrance at Coast Guard Headquarters. To view your invitation please click the link below. * If you do NOT have CGHQ access, you must provide specific information (Full Name, Citizenship, DOB, SSN, etc) for facility access. You have been invited to attend a retirement ceremony in honor of CAPT Robert A. Dews Jr. on 3 May, 2019 at 2:00 pm at the United States Naval Academy, Annapolis, MD. To view your invitation and RSVP, please click the link below. If you are unable to click on the link, please copy and paste the address into your web browser. 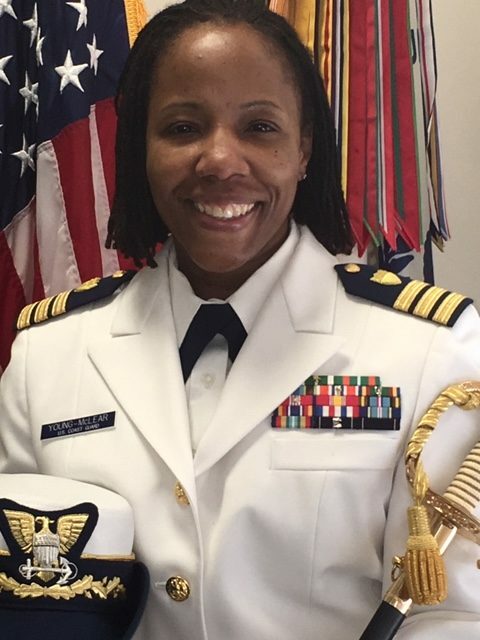 On Friday, MARCH 22, 2019, longtime Washington, DC Chapter National Naval Officer Association (DCNNOA) member CAPT Pamela S. Theorgood, SC, USN was relieved by CAPT Chad B. Burke, SC, USN as Commander, Defense Contract Management Agency Manassas, Virginia. The Change of Command Ceremony was held at the Lincoln Auditorium at the Westfields Marriot Washington Dulles in Chantilly, Virginia. Introductory remarks were provided by CAPT William B. Stevens SC, USN Commander, Defense Contract Management Agency Eastern Region. 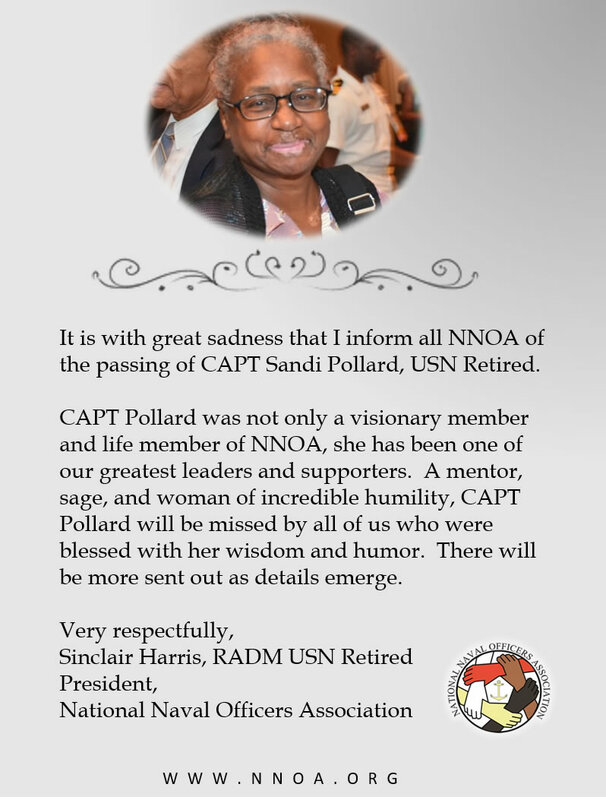 Notable officials in attendance included ADM (Ret) Cecil Haney, USN, ADM (Ret) Mark E. Ferguson III, USN, RADM (Ret) Althea H. “Allie” Coetzee, SC, USN, NNOA National President RADM (Ret) Sinclair Harris, USN, and DCNNOA Vice President CAPT Gary Powe, SC, USN. CAPT Theorgood’s family was in attendance including her husband Clyde, son LCPL Tyrik Theorgood, USMC, mom Ms. Karen Davis, and countless other family members and friends. CAPT Theorgood is a native of Pennsylvania and has earned a BS in Finance from Indiana University of Pennsylvania. 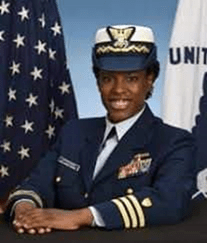 CAPT Theorgood also holds a Master’s in Business Administration from the Naval Post Graduate School in Monterey, California and holds a Master’s in National Resource Strategy from the Industrial College of the Armed Forces. CAPT Theorgood’s decorations include the Defense Superior Service Medal, Defense Meritorious Service Medal, Meritorious Service Medal (2), Navy Commendation Medal (5), Navy Achievement Medal (4), and various other unit and campaign awards. CAPT Theorgood next assignment is with the staff of Commander, Naval Surface Force in San Diego, California. Following the Change of Command ceremony a reception was held. 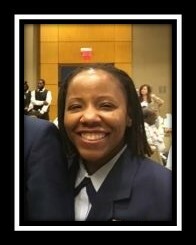 Best wishes and a “Hearty Well Done” is forwarded to CAPT Theorgood and her family from the Executive Board and members of the Washington, DC Chapter of the National Naval Officers Association! Visit Sea Air Space to register for upcoming 2019 Sea Air Space event. Visit STEM Expo for more details are registration. On Friday, March 15, 2019, longtime NNOA member and DCNNOA member CAPT (Ret) Wilbert R. Bynum, SC, USN held his Retirement Ceremony at the Pat Thompson Center in Millington, Tennessee. CAPT Bynum is a native of Tupelo, Mississippi. He was commissioned through the Naval Reserve Training Corps (NROTC) program at Southern University, Baton Rouge, Louisiana where he earned a bachelor’s degree in Mathematics while minoring in Physics. He also earned a Master’s Degree from Troy State University and completed executive training at the Wharton School at the University of Pennsylvania and joint professional military education at the Joint Forces Staff College. CAPT Bynum served 30 years in the Navy in a variety of sea and shore assignments. At sea, his assignments included: Supply Officer, USS GEORGE H. W. Bush (CVN 77); Assisatant Supply Officer, USS NIMITZ (CVN 68); and Supply Officer, USS FLATLEY (FFG 21) and Disbursing and Sales Officer, USS MARVIN SHIELDS (FF 1066). Captain Bynum’s previous shore assignments included: Commanding Officer, NAVSUP Fleet Logistics Center, Jacksonville, FL; Assistant Commander for Corporate Operations (N1/N5), Naval Supply Systems Command Headquarters; Director of Logistics (J4), Combined, Joint Task Force – Horn of Africa; Assistant Deputy Chief of Staff Logistics, Fleet Supply & Ordnance, U.S. Pacific Fleet; and Chief of Staff for Logistics U.S. Naval Forces, Marianas; and Assistant Supply Officer, Naval Support Activity, New Orleans. 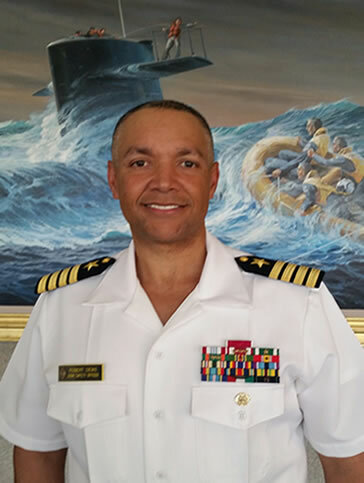 CAPT Bynum currently serves as Director, Detailing Division for the Naval Supply Systems Command, Office of Supply Corps Personnel in Millington, TN. CAPT Bynum is a Joint Qualified Officer and member of the Navy Acquisition Community. CAPT Bynum is dual warfare qualified as a Naval Aviation Supply Officer and a Surface Warfare Supply Corps Officer. His military decorations include the following: Legion of Merit (three awards), Defense Meritorious Service Medal, Navy and Marine Corps Meritorious Service Medal (three awards), Joint Service Commendation Medal, Navy and Marine Corps Commendation Medal (four awards) and Navy and Marine Corps Achievement Medal. The Guest Speaker for CAPT Bynum’s Retirement Ceremony was RADM (Ret) Vincent Griffith, SC, USN. The Presiding Officer for the ceremony was CAPT Kerry Pearson, SC, USN and the Master of Ceremony was CAPT Milton Troy, SC, USN. CAPT Bynum was joined in the ceremony, by his wife Jen, daughters Courtney, Serena and Milo, Mother Mrs. Jimmia Bynum, longtime family friend Mr. Robert Fields and numerous other family members and friends. As in true Navy tradition the ceremony was “superb”! “Best Wishes” are forwarded to CAPT Bynum and his family for 30 years of distinguished service to this nation and the United States Navy from all his friends and colleagues within the National Naval Officers Association!